NAIROBI, Kenya - An American military drone which had been used to monitor piracy off the East African coast has crashed at an airport on the island nation of Seychelles during a routine patrol, officials said Tuesday. The U.S. Embassy in Mauritius said the unmanned U.S. Air Force MQ-9 Reaper was not armed and that the crash caused no injuries. The crash sparked a fire that was quickly extinguished. Lina Laurence of Seychelles' civilian aviation authority said the drone developed engine problems minutes into its flight and needed to land as soon as possible Tuesday morning. "But due to its accelerated landing speed, the aircraft was unable to stop before the runway's end," Laurence said. The embassy's statement said the cause of the crash is being investigated. "It has been confirmed that this drone was unarmed and its failure was due to mechanical reasons," Laurence said. The affected runway was closed for about 10 minutes as a "precautionary measure," but was later reopened with no disruption to airport operations, Laurence said. The U.S. military and the civilian aviation authority of Seychelles have coordinated to remove the debris, officials said. The MQ-9 Reaper is a medium-to-high altitude unmanned aircraft system with sensors that can provide real-time data. The Seychelles-based MQ-9s, which are used to monitor piracy activities in and around the Indian Ocean, don't carry weapons, though they have the capability to do so. Tuesday's crash follows last week's claim by Iran that it seized a drone identified as the RQ-170 Sentinel. Tehran said it was captured over the country's east. The nearly intact drone was displayed on state TV and flaunted as a victory for Iran in a complicated intelligence and technological battle with the U.S.
U.S. officials said the unmanned aircraft malfunctioned and was not brought down by Iran. President Barack Obama said Monday the U.S. wants the top-secret aircraft back and has delivered a formal request for the return of the surveillance drone, though it isn't hopeful that Iran will comply. 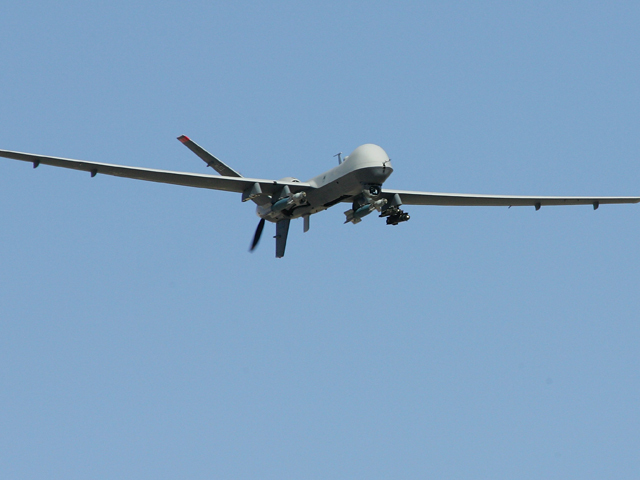 The U.S. has used drones to hunt down al Qaeda-linked militants in Somalia and Yemen, among other countries. Their humming is a constant feature in the sky in many of the major towns in southern Somalia, especially the capital city and the militant-controlled southern port of Kismayo. It was not clear if drones operated out of the Seychelles are used for that purpose.